Light Turnout May Have Taken Sally Out. Sally needed a strong voting contingent today to make it to the final, and it just never materialized. Still, she is the only one seed in the tournament and the only female to make it to the Final Zone. 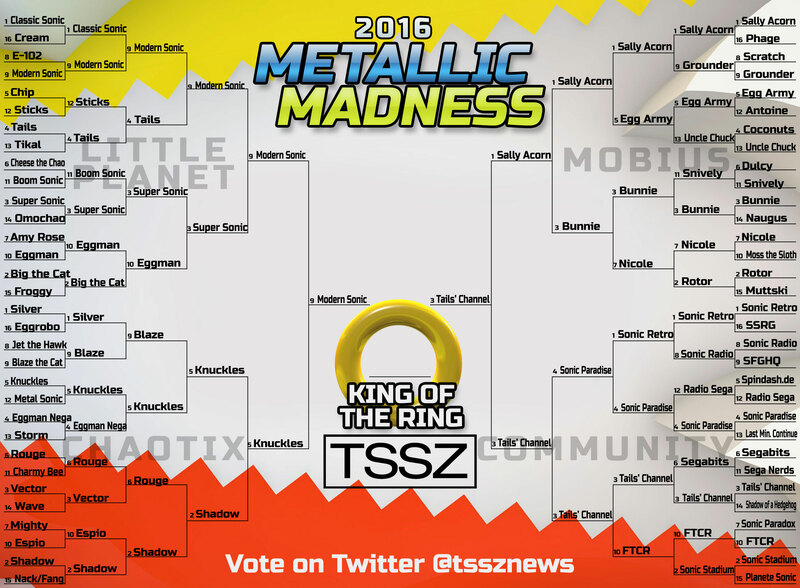 A blase attitude in the Mobius division may have been why Sally was able to coast in so easily, but when it counted, the votes just didn’t show up. Sonic Prevails in the Civil War. It was highly touted but like the first match, had only light turnout. Knuckles put up a fight early and tried to stage a comeback midway through, but Modern Sonic had an easy road to the final almost completely through. It now appears the match with the Meme King will either be his finest work or his downfall. Voting will take place for six hours tomorrow exclusively on our Twitter feed. Crown the King of the Ring. We don’t have a trophy or anything for the winner. But maybe they’ll feel good. Or something.